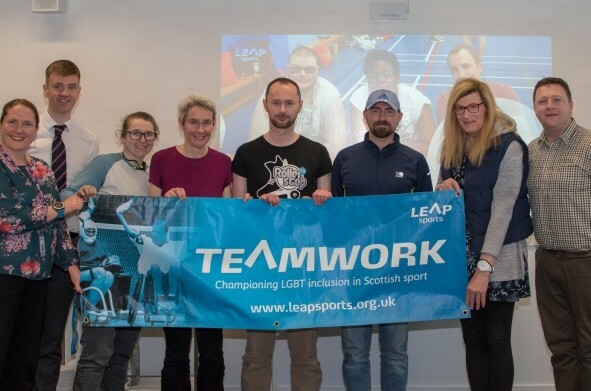 On Thursday 17th April, we officially launched our Team Scotland who are participating in the Gay Games in Paris this year. We are currently sitting at a team of 26 but still hoping to see a few more add to that number before the Games in August. The current team are made up of participators in boxing, running, track and field, squash, rowing and football. Some of the athletes signed up to participate spoke at the launch. 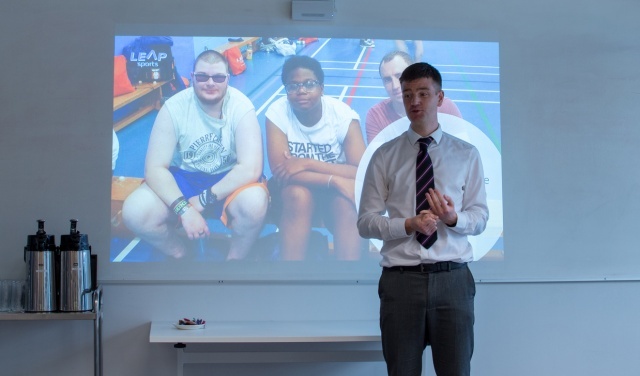 Kirsten Sinclair spoke of the inspiring opportunity which the Games presented, whilst Fraser May who participated at the Cologne Games back in 2010 talked about the celebration of identity and participation and said he was excited to be going back. 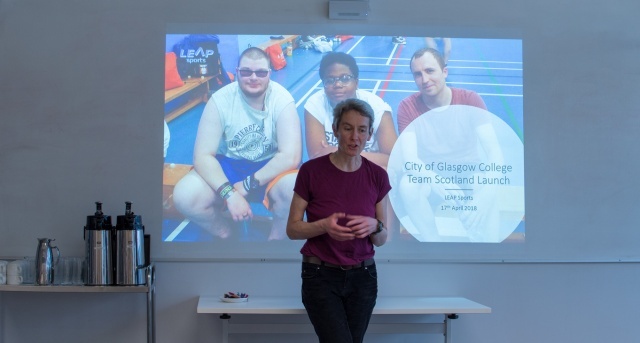 We were hosted by City of Glasgow College and welcomed to the college by Vice Principal for Student Experience, Joanna Campbell who said that the Games were an opportunity for people to aspire to their personal best, a key ambition that chimes with the philosophy of the college. Amongst the current 26 strong team, are 6 participants who are beneficiaries of bursaries from LEAP Sports to help ensure that those less able to access the Games have an opportunity to attend. You can read more about Paris 2018 here, and please contact us at info@leapsports.org if you want further information or are interested in joining Team Scotland for Paris. Written on 18th April 2018.